Fashion Polish: White Owl Lacquer Valentine's Day collection "Heightened Emotions"
White Owl Lacquer Valentine's Day collection "Heightened Emotions"
It feels like it was yesterday that my friend and fellow nail polish blogger Mara from Mara in Polishland released her first indie collection but actually it's already been over a month! Today I have 2 of her Valentine's Day collection "Heightened Emotions" to show you. A little danger, named after their first encounter when he tells her "she wants a love that consumes her; she wants passion, adventure, and even a little danger". Glitter topper in a clear base with rosy pink, fuchsia and red round glitter as well as very thin square and hex golds. The amount of glitter is perfectly balanced and if you make sure to shake the bottle before application, each "brush load" should give you enough particles to work with, requiring zero fishing. I used one "dabbed" coat over OPI Sparrow Me the Drama plus topcoat here. Same glitter blend as in A little danger in a white jelly. I layered one coat of Never Let Me Go over OPI My Boyfriend Scales Walls and due to that the glitter pay off was lower and I had to fish a few extra rounds but I'm pretty sure it wouldn't be an issue used on its own. The "Heightened Emotions" also includes a third polish, "Come to Me" that I will hopefully share with you very soon. Enjoy the rest of the weekend girls! 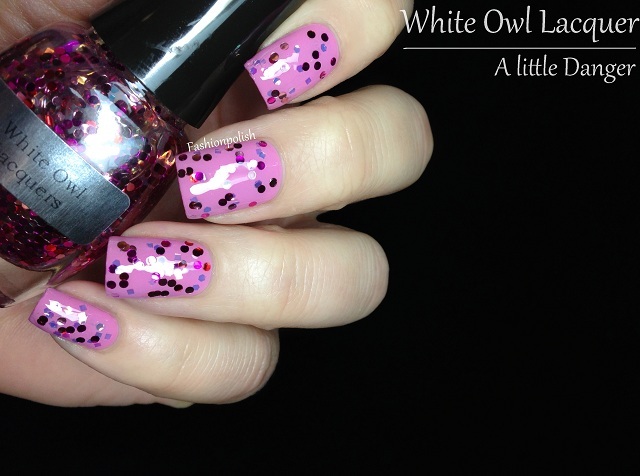 White Owl Lacquers is available on Big Cartel and retails for $9 each. The "Heightened Emotions" is scheduled for release tomorrow. 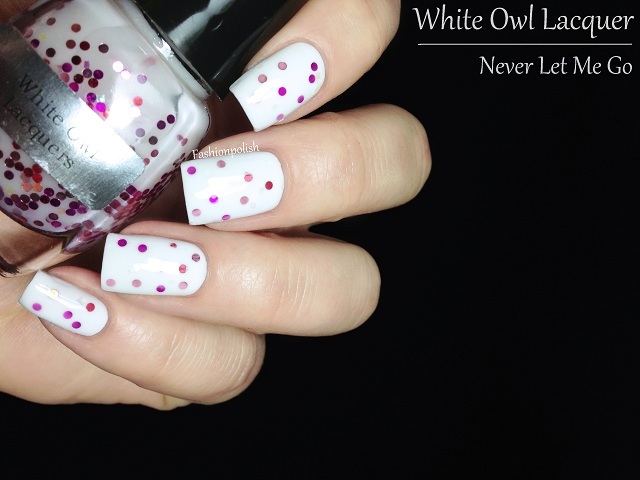 For more information, please refer to Mara's blog marainpolishland.com or to White Owl Lacquers on Facebook. Sam, your swatches are stunning... as always! I'm dying over these beautiful swatches!! !THANK YOU Sam!!! I read the Vampire Diaries nearly 20 years ago when they were first published... the show is so different that it just doesn't interest me. (being 35 doesn't help either). I love these! I've not tried any White Owl Lacquers but I'm liking what I'm seeing! They are both lovely! I've never tried this brand so far. And as always, nice swatches!